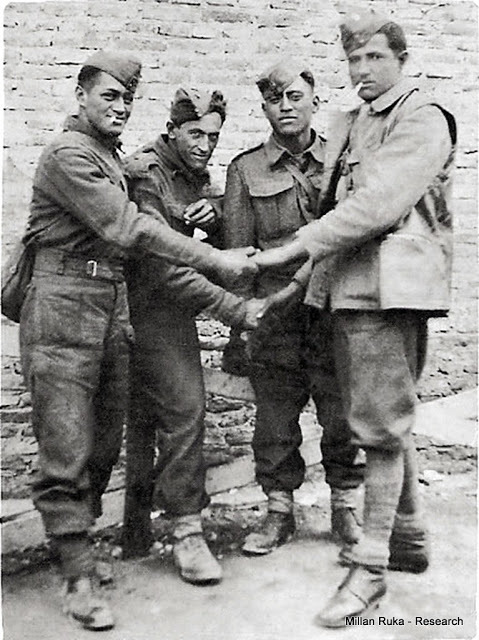 Crete 1941 - Three 28th Maori Batallion soldiers with a Greek soldier on right. Family collection. Courtesy of Milan Ruka.